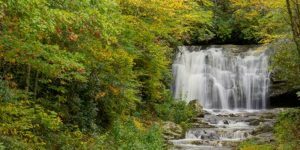 Highlights: Visit Natural Bridge Township (Natural Bridge), Great Smoky Mountains (Great Smoky Mountains Park, Ober Gatlinburg Aerial Tramway), Pigeon Forge (Dolly Parton's Dixie Stampede). In the morning, we will depart for Virginia, where we will visit the Luray Caverns in the Shenandoah Valley, home of the Great Stalacpipe Organ. In the afternoon, we will visit the nearby Natural Bridge, which has fascinated travelers for hundreds of years. In the morning, we will travel to the Biltmore Estate in North Carolina, a French Renaissance style house built by George Vanderbilt II, where we can overlook the Great Smoky Mountains National Park nor far from the gardens. Then, we will make our way to Pigeon Forge, where we can participate in a western horse show dinner called Dixie Stampede. After dinner, we will check into our hotel for the night. In the morning, we will continue our tour into Tennessee with a trip through the Great Smoky Mountains, where we will learn about the heritage of this state. The park offers us the chance to see a wide variety of plant and animal life. We can also board the Ober Gatlinburg Aerial Tramway to get even more views of the surrounding area. After stopping in Gatlinburg, TN, for lunch, we will head back to Washington, D.C.